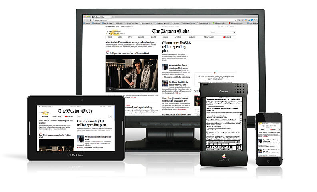 Responsive web design – as defined by wikipedia – (often abbreviated to RWD) is an approach to web design in which a site is crafted to provide an optimal viewing experience across a wide range of devices from desktops to tablets and mobile phones in both landscape and portrait. I hadn’t heard of this until today. One of our client’s had an attack on their server , the malware makes a zipped (RAR) file of your data and adds an encryption to the file. It then deletes the data using the sdelete function which doesnt allow the traditional undelete file methods. There are various versions but the infected user is offered a password to decrypt the file. From Company Manager, select the company you want to import transactions into then select Company à Import Transactions. The path to the company where the files will be imported is automatically displayed. Have you ever wanted to create a tutorial to record how something should be done on a PC. Well, here is a handy little utility program which will do it. To load a BOM into SAP we needed to create a XML file with a hierarchy of the BOM. To start this project in Access you will need to set a reference to ChilkatXML and have a recordset for the BOM items.